Need inspiration for some ways you can organize your home in 2017? 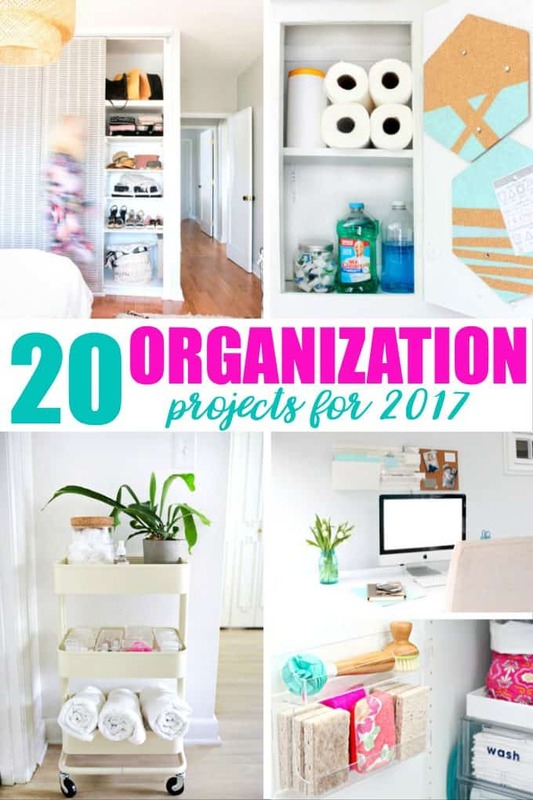 I’ve rounded up 20 organization projects to get you started! Being organized saves you time, stress and money. I’m ready to tackle some new projects and start the new year out on the right foot. How about you? Check out these helpful organization projects below. Organization Hacks That Can Keep You…Organized! Organization is on my list of things to do this year, will have to spend some time checking these links out. I definitely need to organize under my bathroom and kitchen sinks. I’ll check out those posts for sure! These are all great tips! Home organization and more de-cluttering is one my list for this year for sure! painting designs on cork using masking tape. Thank you for the tips Stacie! Finding too many things to store in the kitchen, when left undone, can cause an enormous amount of headache and clutter to the space you would perfer to spend your hours in, churning the best dishes for the family. The way I deal with clutter is to either donate or sell them away. Bring in the new and usher out the old I guess….